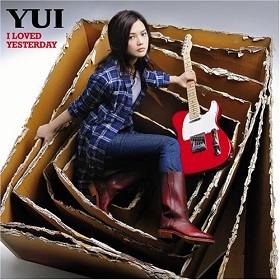 This is the 3rd studio album of YUI. Also becoming her 2nd most successful album with double platinum from RIAJ (Recording Industry Association of Japan) for shipment of 500,000 copies in Japan. This album peaked at number twenty-three on the Billboard Japan Top 100. 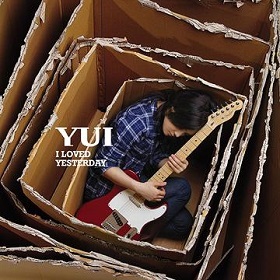 The 1st track, Laugh Away which is the lead song for the album is released as a 1st digital single on March 10, 2008, which is used as the theme song for the Glico Watering KissMint commercial and the 10th track, Oh Yeah: YUI Acoustic Version is, later, also released as another digital single on May 25, 2008, which is used as the opening theme song to the morning Japanese show Mezamashi TV. This album also has unique short songs No Way. The album title, I Loved Yesterday's message is Kinou wo aiseru youni kyou wo ikiyou. Ashita mo onaji kimochi de itai kara (昨日を　愛せるように　今日を　生きよう　明日も　同じ気持ちで　いたいから) which means in English, In order to love yesterday, let's live today without regrets. I want to live tomorrow with the same feeling as well. This album released in two version : regular edition with 13 tracks in CD, and limited edition DVD containing 4 music videos and live footage of her live at Budokan.